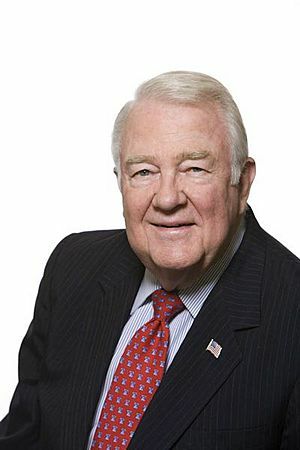 Edwin "Ed" Meese, III (born December 2, 1931) is an American attorney, law professor, and author. Meese was born on December 2, 1931 in Oakland, California. He studied at Yale University and at the University of California-Berkeley. He served under Ronald Reagan's administration back when Reagan was Governor (1967–1974), the Reagan Presidential Transition Team (1980), and under Reagan's presidential administration (1981–1985). Meese was the 75th Attorney General of the United States (1985–1988), a position from which he resigned while serving in office under investigation from a special prosecutor. Edwin Meese Facts for Kids. Kiddle Encyclopedia.